Recover files that are mistakenly deleted from your iPhone, iPad or iPod. Unexpected data loss or file corruption caused by malicious virus attack. Restore backup files if you forgot passcode and cannot get into locked iPhone. Software downgrade did not succeed and all data on the device are gone. Data recovery due to system errors like black screen of death and so on. iTunes restore error or false reset and erased everything on your device. iOS update on the device failed and you cannot access the data normally. Easily extract and get back files even if your device is smashed or damaged. Directly read and access backup files to save on another available device. iPhone/iPad jailbreak failed or unfinished and all existing data vanished. With Any iOS Data Recovery, you can find and get back deleted photos, videos, music, messages, contacts, documents and other important files within 3 simple steps. The data recovery magic covers all your iPhone/iPad and iPod. You can choose to recover from iTunes backup, iCloud backup or the device itself. Each mode is designed for specific situations; therefore, you can get the data back for whatever reason or under any circumstances. Directly locate iTunes backups stored on your computer and grab the data you need. This is preferred if your device is not available. If you do not have an up-to-date iTunes/iCloud backup, you can also choose to scan the device and find your lost files. Access and extract iCloud backup files without limitation. You can preview every files stored on iCloud and pick up what you need to recover. iPhone/iPad/iPod is disabled or stuck on Apple logo/Recovery/DFU mode, therefore it cannot be restored from iTunes/iCloud backup? 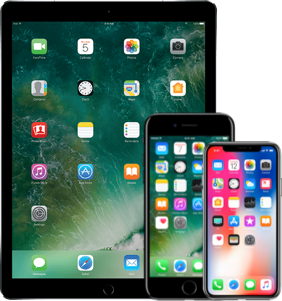 No worries, Any iOS Data Recovery is also equipped with iOS system recovery feature to repair your device first, after that you are free to recover any lost data. Connect your device using the USB cable and select a recovery mode to proceed. Start scanning your device or backup files. When the result is generated, you can preview the files to decide what you need to recover. Click Recover button and decide whether you want to restore to the iDevice or save on your computer.